I have been speaking with AyOwA about Farvel and what we can expect. They talk about their new single of the same name and what the story behind it is; how AyOwA got together and what sort of music inspire them. I ask whether they are going on tour and what the music scene is like in Denmark right now; if they get time to chill away from music; who they’d support on tour if they had the chance – they end the interview by selecting a great track. Hi, there! Thanks. It’s been good but busy since we’re releasing an E.P. and getting ready to go on tour! 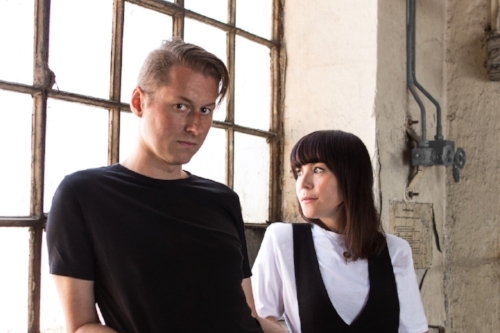 AyOwA consists of synth/piano player and producer Nicolai Kornerup and singer and composer Hannah Schneider, both from Copenhagen in Denmark. 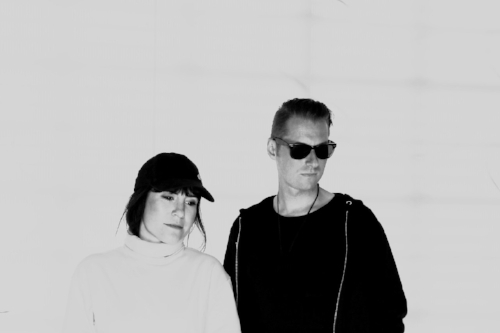 Nicolai does most of the production and Hannah mostly takes care of the lyrics and melodies. We create our music in a basement studio in Copenhagen - that seldom see the light of day - but has a lot of good vibes and a grand piano. 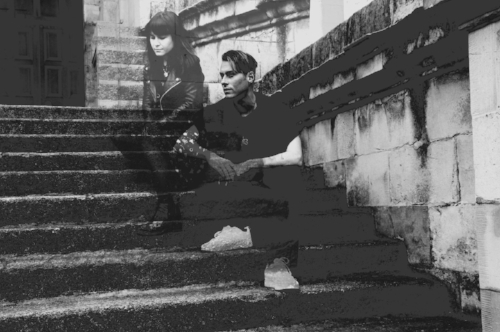 If you mix Noise-Pop with Electronica and melodies with improvisation, in an evocative and playful mix, that’s where you’ll find our music. Farvel is your new track. What is the inspiration behind the song? Farvel is a song that has had many different arrangements: from a big electronic track over complicated beats, until it eventually ended up in this simple version; recorded at the Wurlitzer in one take. We felt a song that sticks with you for that long has something it wants to say! It is from the E.P. of the same name (out tomorrow). Are there particular themes and ideas that influenced the songwriting? Hannah: Throughout AyOwA’s existence, there has been an underlying theme of saying goodbye to a loved one. I lost my father in the process of recording this E.P. and, naturally, it has been with me in the process of writing the texts and the melodies. Farvel means farewell and, in that word, there is both sadness and a wish for lighter and more hopeful times. I think this duality shines through the E.P. How did AyOwA get together? When did you start making music? We’ve been friends since we were teens and we’ve played music together ever since. We decided to join forces in AyOwA almost three years ago. We both come from ‘a home with a piano’. Nicolai’s grandmother taught piano and both Hannah’s parents and grandparents were Classical musicians. Music is a vital part of both our lives and we get weird when we don’t have it around! We are both inspired by a lot of Classical music like Debussy, Satie and Bach - but some of the bands that have brought us together are bands like Boards of Canada, The Internet; Cocteau Twins and Beach House. You are based in Denmark. Is there a varied and strong industry there right now? Are there a lot of great local artists emerging? It seems like Denmark and Norway has always been standing in the shadows of the Swedish music industry when it comes to the Scandinavian scene but now it’s changing - lots of really interesting acts are emerging! The Danish music scene is small but really diverse and strong. There are a lot of interesting female artist coming thru like Soleima, Kwamie Liv and, of course Mø. Not many months to go but, as we’re going on a big European tour supporting Faroese artist Eivør in October, we’ll be playing our music many new and exciting places and that has definitely been a goal for us since the beginning! We both had a really spectacular time playing Roskilde Festival last year- probably one of the peaks so far! If you could fix us a tour supporting Massive Attack, Portishead; Björk and Cocteau Twins we wouldn’t say no! 22.10. The Studio - Norwich, U.K.
23.10. Patterns - Brighton, U.K.
24.10. The Globe - Cardiff, U.K.
Have something to say with your music! And keep saying it! Some of the most interesting artists are the ones that keep evolving, and hang in there. We love the Danish Electronic-Pop act Blondage; Art Pop-er ML Buch; fantastic Masasolo (who did a great remix of our song, Sommer - just sayin’) and check out newcomer Ida Kudo as well - she’s on fire! We basically don’t! Funny, because it’s too true. Please play us Falling by Vera (ft. Okay Kaya) and we’ll be dancing through the night!